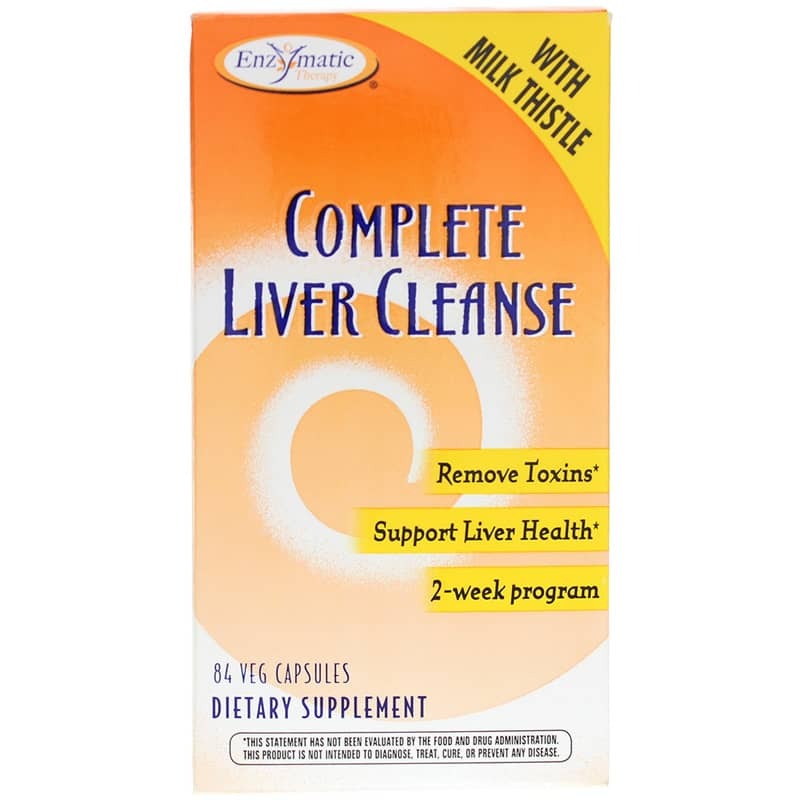 Complete Liver Cleanse with Fiber from Enzymatic Therapy is a 2-week program for liver cleansing that naturally supports a healthy liver. 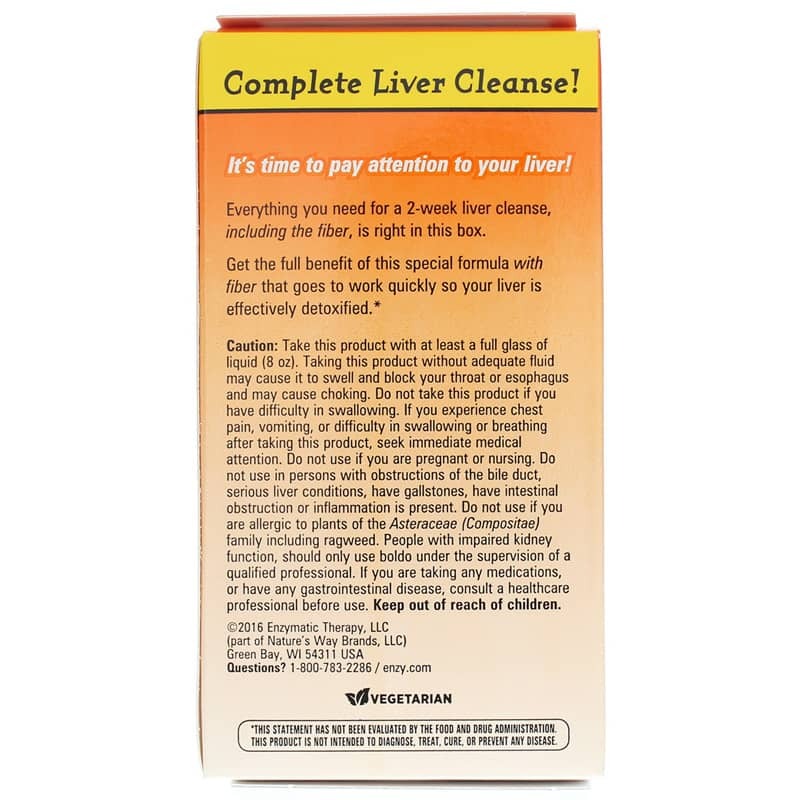 Stimulates bile flow, helps remove toxins and naturally supports a healthy liver. 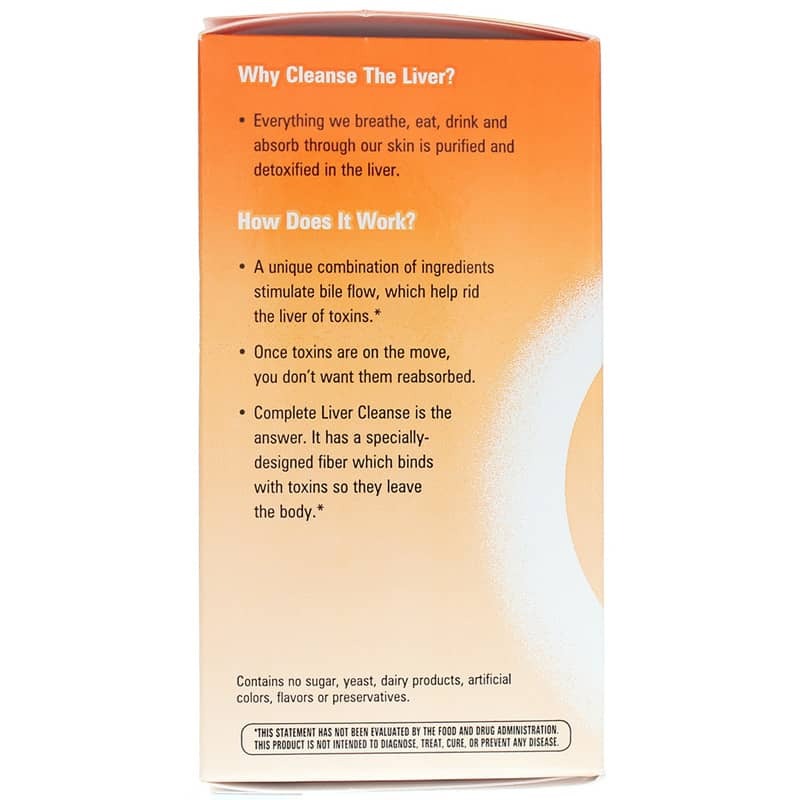 Everything you need for a 2-week liver cleanse, including the fiber, is right in this box...plus a Complete Liver Cleanse Guide. Once toxins are stimulated and on the move, you do not want them reabsorbed back into your body. This two-week cleanse features specially-designed fiber with 4 times the toxin-binding power of other fibers. 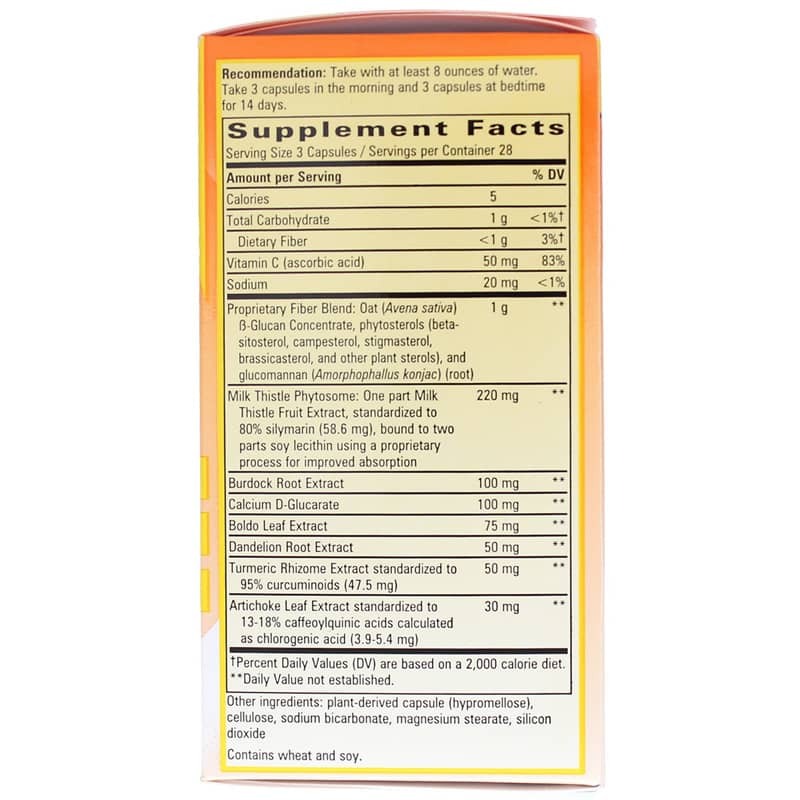 The result is superior support for liver function and health. Other Ingredients: plant-derived capsule (hypromellose), cellulose, sodium bicarbonate, magnesium stearate, and silicon dioxide. Contains NO: sugar, yeast, dairy products, artificial colors, artificial flavors, or preservatives. Adults: Take with at least 8 ounces of water. Take 3 capsules in the morning and 3 capsules at bedtime for 14 days. Take this product with at least a full glass of liquid (8 oz). Taking this product without adequate fluid may cause it to swell and block your throat or esophagus and may cause choking. Do not take this product if you have difficulty in swallowing. If you experience chest pain, vomiting, or difficulty in swallowing or breathing after taking this product, seek immediate medical attention. Do not use if you are pregnant or nursing. Do not use in persons with obstructions of the bile duct, serious liver conditions, have gallstones, have intestinal obstruction or inflammation is present. Do not use if you are allergic to plants of the Asteraceae (Compositae) family including ragweed. People with impaired kidney function, should only use boldo under the supervision of a qualified professional. If you are taking any medications, or have any gastrointestinal disease, consult a healthcare professional before use. Keep out of reach of children.